Mont Blanc. 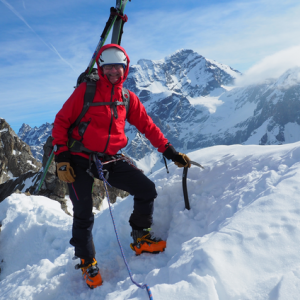 The highest mountain in Western Europe and a true challenge for the dedicated ski mountaineer. A magnificent objective…for those with the skills to do it. 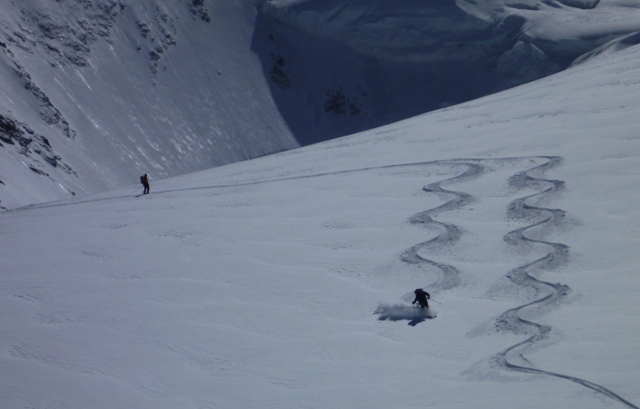 Late spring often provides the best snow conditions for a ski ascent of the mountain and we offer 2 different warm up options in early-mid May, perhaps the best time of year for this high altitude spring objective. 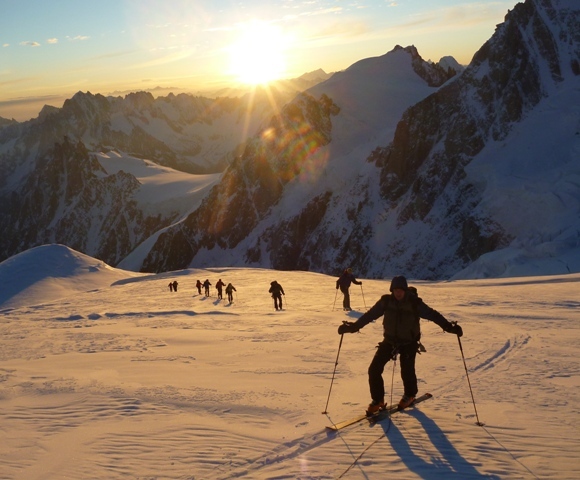 This Spring Ski Summits build up programme offers the chance to ski 4 x other 4000m peaks and thus hopefully ski 5 x 4000m peaks during the course! This is the toughest ski course we do and is only suitable for those with high levels of fitness, ski ability and some mountaineering experience. 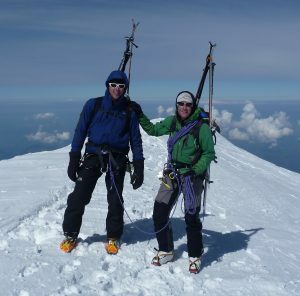 We aim to climb the Mountain via the ‘Arete Royale’ on the Dome du Gouter and classic Bosses Ridge to the summit. The ski descent back to Chamonix is huge and technically interesting. A great day of skiing, but not for the faint hearted…. Strong, confident and technically competent skier able to deal with variable off-piste snow conditions on very steep slopes up to 45 degrees on the north face. An ability to maneuver skis around crevasses with precision and ski swiftly yet with control under seracs. An ability to do all this after a long, tough and tiring ascent at altitude. 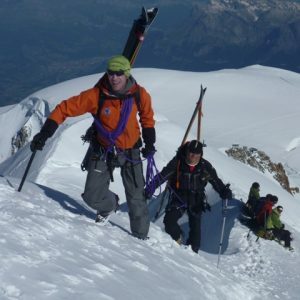 This booking is for the 5 Day Ski Summits Programme – 6-10th May & then 3 day Mont Blanc summit programme 13-15 May. The guiding ratio is Max 1:4 for the ski summits programme and Max 1:2 for the ski summits programme.